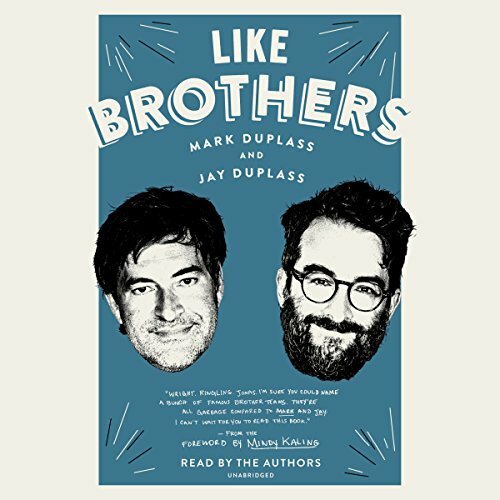 Like Brothers [Audiobook] | Free eBooks Download - EBOOKEE! Posted on 2018-05-17, by perica123. From a childhood spent wielding an oversized home video camera in the suburbs of New Orleans to their shared years at the University of Texas in early-90s Austin, and from the breakthrough short they made on a three-dollar budget to the night their feature film Baghead became the center of a Sundance bidding war, Mark and Jay tell the story of a bond that's resilient, affectionate, mutually empowering, and only mildly dysfunctional. They are brutally honest about how their closeness sabotaged their youthful romantic relationships, about the jealousy each felt when the other stole the spotlight as an actor (Mark in The League, Jay in Transparent), and about the challenges they faced on the set of their HBO series Togetherness - namely, too much togetherness. But Like Brothers is also a surprisingly practical road map to a rewarding creative partnership. Rather than split all their responsibilities 50-50, the brothers learned to capitalize on each other's strengths. They're not afraid to call each other out, because they're also not afraid to compromise. Most relationships aren't - and frankly shouldn't be - as intense as Mark and Jay's, but their brand of trust, validation, and healthy disagreement has taken them far. No comments for "Like Brothers [Audiobook]".